Buy 2 or more and save 30%! Say hello and give a hug to this soft, fuzzy, cuddly, rainbow-hued creature. 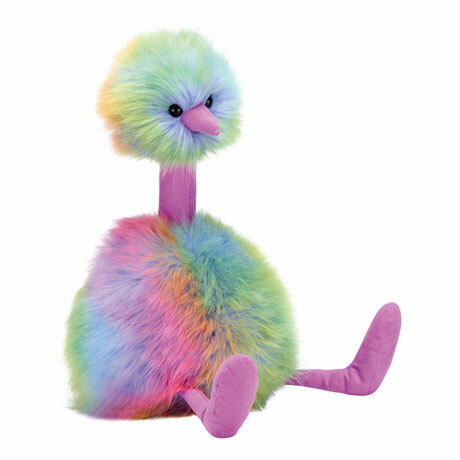 Pure fantasy, Pompom is a ball of sherbet-colored fluff with violet legs, neck, and nose. He (or she) is probably somehow related to a unicorn, though we can't prove it. Polyester. Ages 1 and up. 13" tall. Designed in the UK.